When everything is covered in frost and spring still feels a very long way away, it’s good to know that you can cheat the system a little bit and grow certain crops indoors. 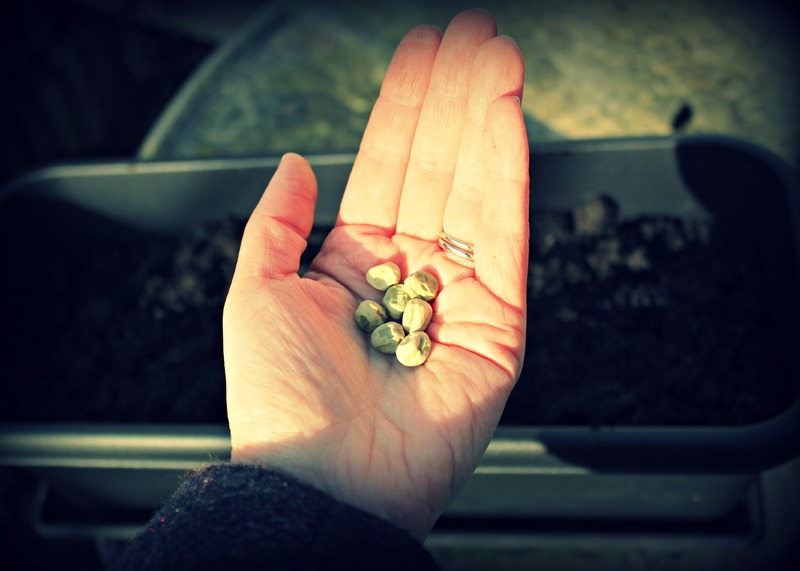 The idea of eating home-grown salad leaves in the middle of the English winter is far too exciting to ignore, so on Friday, I grabbed some compost and an old packet of pea seeds, and set about sowing them. Pea shoots are one of my favourite salad greens; sweet and fresh, a tempting foretaste of the peas we will be enjoying later in the season. They’re just the growing tips of the pea plant which are harvested in the first few weeks instead of being allowed to mature to full size. Rather wonderfully, they also grow back, enabling you to get a further 2-3 harvests out of them. I grew them inside last year and they did really well, but it’s a little more of a gamble this time. For starters, I’m sowing them in January rather than March as I did last year. But it’s warm inside, they’re in a sunny window, so I don’t think this should be a problem. What’s more likely to be a problem is the fact that the seeds are out of date. 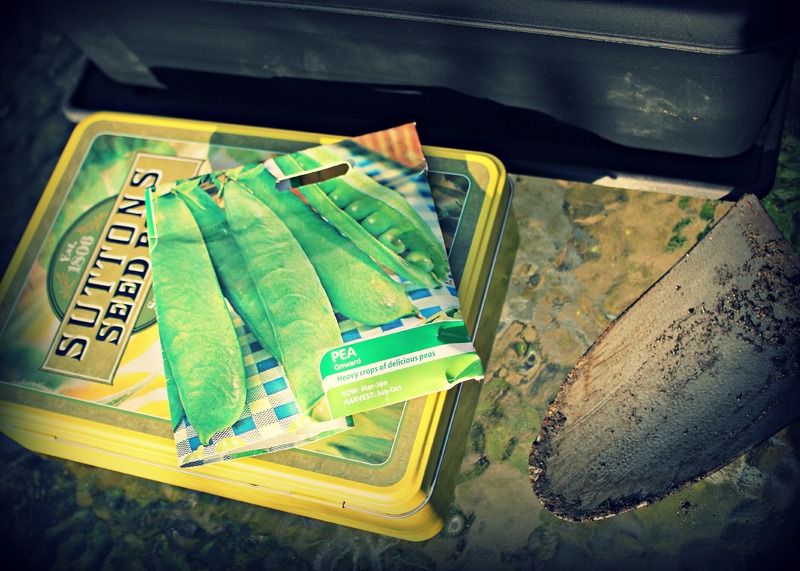 I’m using the first pea seeds that we ever bought; a packet of the ‘Onward’ variety from 2013 which we grew up a wigwam in the back garden (we didn’t have an allotment back then). The expiry date on the packet is June 2014 so I’ve no idea if they’re going to grow! But I’m approaching ‘sow by’ dates on seeds as I do ‘use by’ dates on food – with little regard and a somewhat brazen sense of over-optimism! What’s the worst that can happen? If they don’t grow, I’ve only wasted 10 minutes of my day. I filled a planter with compost, gave it a good water, scattered the peas fairly liberally on top (you can plant them closer than is usually advised as they won’t be reaching full maturity), and covered them with compost. They’re now sitting on the windowsill of our south-facing living room. Job done. Here’s hoping we’ll be eating home-grown salad in February!